We love the dedication actors for their upcoming roles, especially Hugh Jackman as he packs 6,000 calories per day. These excess pounds that he’s getting is for the role as, who else, Wolverine. Jackman will be up for the next installment, which will be directed by “Black Swan” director Darren Aronofsky. According to the director, Wolverine is “in the comics, is powerful, stocky, you know, he's short and thick” and he wants Jackman to grow bigger to get there. Jackman, dedicated to his Wolverine role, plans to have the “bulldog” look to make his character realistic. Ah, so there really will be a Wolverine sequel? Well, good luck on the 6000 calories per day Jackman…that’s quite a task. But we’re sure you can do it. We’re so happy to hear this good news…and we thought Dianna Agron will be taken by a youngster! Dianna Agron and Alex Pettyfer are NOT engaged, as their reps confirms. The “I Am Number Four” co-stars’ are dating, but they are definitely NOT engaged and reports on it are totally false. According to Agron’s rep, reports of their “engagement” may have started when Agron had a recent interview with Sugar Magazine and took her quotes out of context. Plus, she was seen wearing a diamond ring on her finger. We don’t care about how it started! The good news is she’s still not fully taken and we still have a chance with her! Terrence Howard’s wife, Michelle Ghent, has filed a divorce after being married for just one year. Ghent has cited “irreconcilable differences as reason for the divorce and is also seeking spousal support from Howard. She is also requesting that her now ex-husband will pay all her legal fees. There is still no comment from Howard about this. Well, that was unbelievable since Howard even married Ghent in an intimate and secret ceremony last Jan.20, 2010. We never thought something bad was happening with their marriage. Whatever happened, we hope they could still settle it. We’re sure this is what Tom Hanks has been waiting for after having done award-winning movies. The award-winning actor’s son, Colin Hanks and his wife Samantha Bryant, just welcomed their first child last Tuesday. The baby girl, named Olivia Jane Hanks was born last February 1 in a Los Angeles hospital. The couple is happy with their new addition in the family, but nobody is happier than Tom Hanks himself as he now joins the club of grampa actors. We’re sure he’s so excited that he might consider starring his granddaughter in one of his movies. You’ll never know what runs in the mind of a proud grandpa. Are celebrities running out of money…or maybe their houses are way too big for them to live in too? Another celebrity home is for sale at the market, and this is no ordinary home we’re talking about. Mischa Barton from The OC and The Beautiful Life is selling her eight-bedroom home in the market for a whopping $8.695 million. Other features of the house are 10 bathrooms, a spa, a swimming pool, three additional separate guest bedrooms and lush gardens. That’s one heck of a house and some super rich person will be buying that for sure. We have seen Natalie Portman’s baby bump in the red carpet where she was dressed elegantly and her gowns covering it up a bit, so we don’t know how big it is. But now, we can see her BIG baby bump as she is seen walking in the streets after taking lunch in the Silver Lake in LA. Wow, isn’t she only four months pregnant? Then why the heck is it so big…like around six months?! We’re thinking she already has the genes of her mother and has a brain full of knowledge already. But seriously, it’s that big already! This is quite shocking. We really wonder how many months she really is. Looks like Farrah Fawcett’s legacy will still live on. Ryan O’ Neal, Fawcett’s longtime boyfriend, and nephew Greg Walls has donated her red swimsuit to the Smithsonian's National Museum of American History. Aside from that, 1977-era doll of Fawcett and some scripts of the original Charlie’s Angels have also been donated to the museum. This is to symbolize that Fawcett has made a great contribution to the American pop culture and museum director Brent Glass is pleased to welcome the donation. Ah, now longtime fans of Fawcett can get a glimpse of her iconic red swimsuit in the museum and reminisce the good old days of her great contributions. 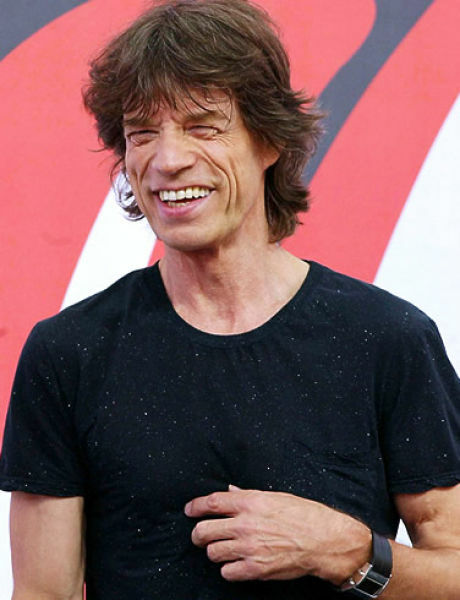 The Grammys has been there for a long time, yet Mick Jagger has never performed there. But in this year’s Grammys, the Rolling Stones frontman will be joining an explosive list of performers. It is said that he will be part of a tribute performance that will honor soul man Solomon Burke who died just last year. But upon Jagger’s request, show producer Ken Ehrlich will not give other details of his performance. Well, we are so looking forward to this since it’s his first time to perform in the Grammys. Rock it on Mick Jagger! Despite successfully promoting his movie and a lot of girls going gaga over him, not all people likes Justin Bieber (yeah, we know that). The teen pop star was booed at on the Knicks game at Madison Square Garden last Wednesday night, especially when his face appeared on big TV. In fact, the stadium was mixed with boos from the guys and cheers from the girls (as expected). 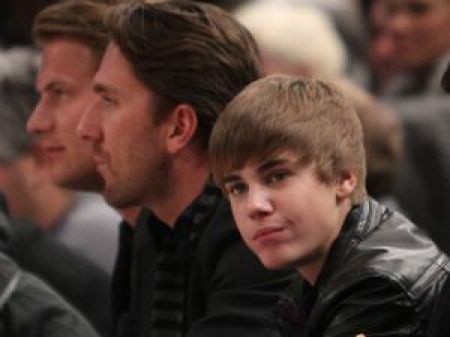 Despite that, Bieber remains calm and keeps on talking to New York Rangers goalie Henrik Lundqvist. Come on, even if there’s Bieber fever, not all people are in love with him. So girls, yeah, just accept it. There are still people out there who do not like him. (Us included). Woody Allen’s long awaited romantic comedy Midnight in Paris will be premiering at the Canned Film Festival this coming May. The movie will star Owen Wilson, Rachel McAdams, Marion Cotillardand Carla Bruni-Sarkozy that tells stories of the characters in the City of Love called Paris. 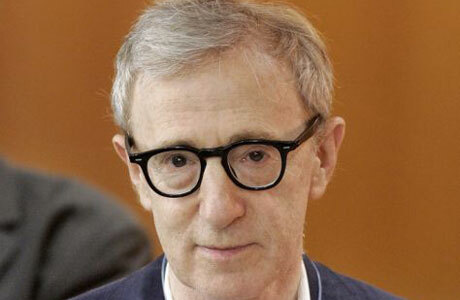 We’re sure it’s mgoing to be great since Woody Allen does great movies. We can’t wait this to come out, especially with a great cast in it. As a young man (with too many hormones) growing up in the 1970s, I can tell you with absolute authority that there were four women who were on every pubescent boy’s mind– Farrah Fawcett, Cheryl Tiegs, Bo Derek and Raquel Welch . Sure, there were others– but these gals were the cream of the crop. And the major rite of passage was to have one of their epic posters up on your bedroom wall. That was huge. It showed you’d graduated from Barbie Dolls and had entered the exciting, awkward, and confusing hormonal journey into manhood. Oh, and as a young woman growing up in the 70's, I had the Bee Gees and Peter Frampton on my walls! I'd like to have the Farrah swimsuit just so I could sniff the crotch area. No homo, but Hugh Jackman is jacked. Holy cow. And LOL at Justin Beiber.